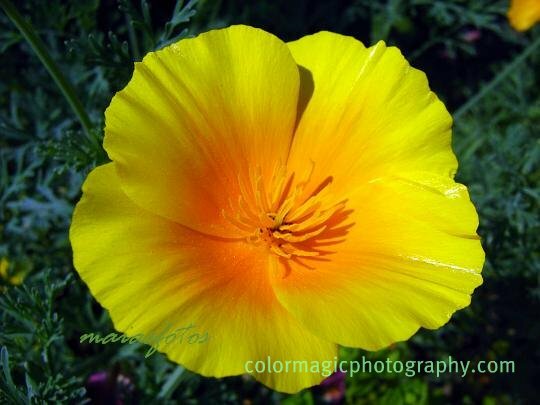 Golden poppy or California poppy (Eschscholzia californica), is native to western North America but found in many parts of the world. In its native areas it blooms starting from early spring but by us in east Europe it just started to bloom at end May. Its showy, golden-orange flowers and bluish-green, finely divided leaves are much appreciated in gardens. Golden poppies open their petals in the morning and close them in the evening or on cloudy days. For its sedative properties, California poppy is used for medicinal purposes in different forms: as diffusion, tincture and powder for treating insomnia, anxiety and nervous tension. Its sedative properties are more gentle as that of its sister, the red poppy. Copa de oro (on its other name), this lovely drought-tolerant plant grows best in full sun. It is easy to grow in gardens; it needs poor, sandy soil and it is self-seeding. 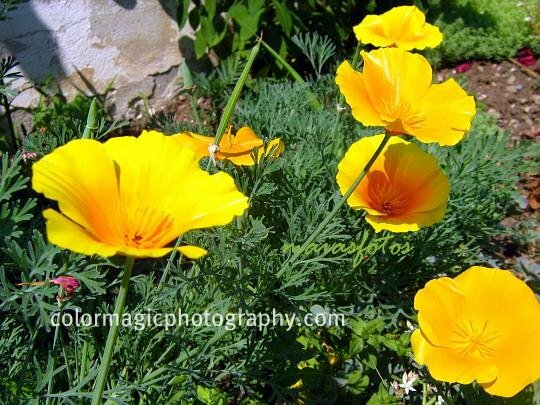 As its name shows, California poppy is the official state flower of California. Tina's new meme, PicsStory, has flowers for this week's theme, head over and join the fun! These are so beautiful! I need to add these to my garden.